When it comes to choices of things to drink, we certainly aren’t short on options. Aside from just going to the spigot and pouring ourselves a tall glass of water, we can choose from a variety of sports drinks, sugary sodas, energy drinks, fruit juices and the list goes on and on. One of the more popular drinks is Coca-Cola, and you may enjoy drinking it as well. Coca-Cola is the most popular soda, and some people are quite addicted to it. They drink it throughout the day and they just can’t seem to get enough of it. Regardless of whether we drink it all the time or not, we may enjoy the refreshment that it provides on a hot day or when we are very thirsty. 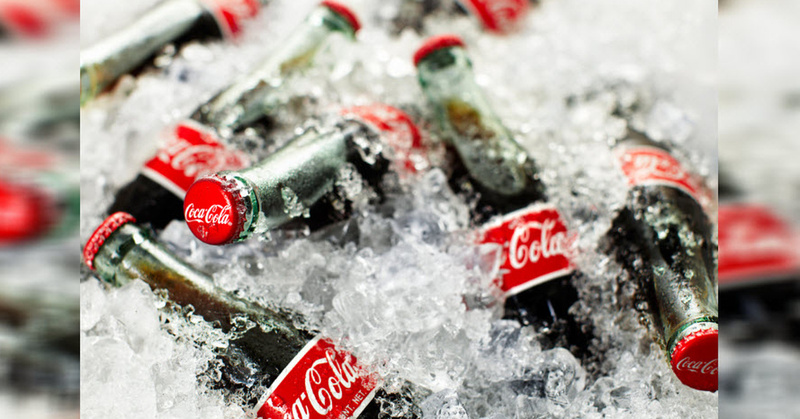 There is something about Coca-Cola, however, that you may not know. People drink Coca-Cola, and that is the most common reason why it is used but you might be surprised to learn that there are many other reasons why people use Coke as well. It provides practical uses around the home and even in the workplace. It can do many different things, from removing grease stains all the way to killing slugs in your backyard. These may not provide you with an extra incentive to drink a can of Coke, but it does provide some incentive for keeping it around at all times. 1. It can clean the blood stains from your clothes. 2. Soak pennies in Coke to polish them. 3. You can also use it to descale a kettle. 4. You can use it to clean the toilet. Just pour it in the toilet bowl, leave it a while, and then flush clean. 5. It can eliminate the grease stains from your clothes and fabrics. 6. You should pour some on the floor, and then hose off, to clean the oil stains in the garage. 7. Due to the high concentration of acids, it can kill slugs and snails. 8. Coke can help you eliminate the rust stains from your pool. You should pour 2 liters of Coke in the pool, and let it act for a while. 9. Soak a sponge or a cloth, or even an aluminum foil, in Coke, and you can remove rust and rusty bolts. 10. Pour each of the car battery terminals with a bit of Coke to clean them. 11. Dip the hair in a bit of Coke and keep it this for 2 minutes, and wipe it off, in order to remove the gum stuck in the hair. 12. You can also use it to clean engines. 13. Coke can help you remove pain from your metal furniture. You should dip a towel in it, and apply it on the paint stains. 14. Pour a bit of Coke on the kitchen floor, leave it to act, and then wipe it to clean the tile grout. 15. Coke can help you fade or remove the hair dye. 16. Coke, combined with aluminum foil, can efficiently polish Chrome. 17. Use it to clean the stains from vitreous china. 18. In order to clean the marker stains on the carpet, pour a bit of it, scrub, and rinse with soapy water. 19. Coke can also dissolve a tooth. If you place a tooth in a sealed container filled with Coke and leave it for a longer time, it will dissolve. 20. You should pour some Coke in your burnt pans, leave it to act, and rinse the pan to clean it. To wrap things up, Coca-Cola may be fantastic for many purposes but it is not good for your health. It can damage the lining of your stomach and cause issues throughout the body. Just make sure that you keep some on hand, not to drink but to use around the home.